Enjoy free shipping on orders over $500. Orders can be combined our sister company, Acacia Creations. 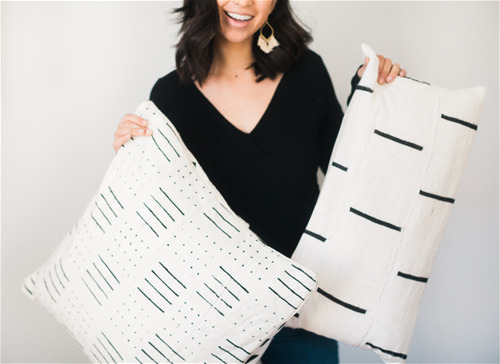 These handwoven pillow covers are exquisitely crafted by a mother-daughter team in Tunisia. Each is accented with wool embroidery inspired by traditional Berber motifs. 18x18 inches. 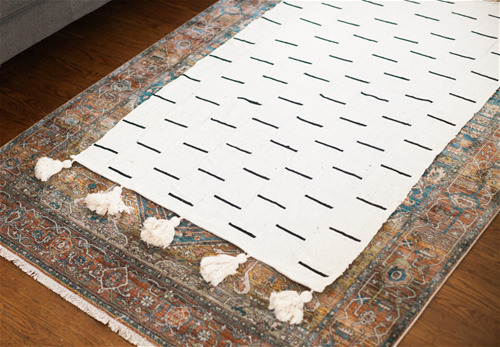 Mali's rich artisanal tradition meets modern home decor with this exquisitely hand-crafted strip cloth rug. It measures 3 x 5 feet with tassel accents. 100% fair trade. 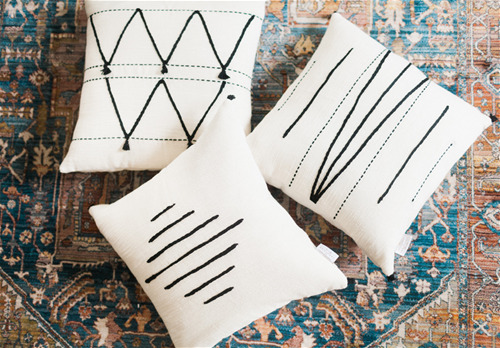 Our pillow covers feature traditional designs and handspun cotton from Mali. Each uses only natural dyes and is reversible with different designs on each side. 100% ethically crafted.